Need supplies for your large format printer, scanner, 3D printer, or other device? We can ship supplies anywhere. Contact us to find out what new products are available and to inquire about the latest discounts and purchase incentives. If you are already a customer with IRG, then head to the IRG STORE to log in with your pre-established credentials. 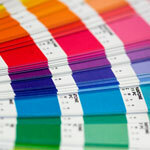 We offer a broad portfolio of large-format printing media, from photo paper to banners to backlit. We can assist you to print right the first and every time. Purchase the right ink for your printer for uncompromising image quality, consistency, performance, durability, and value with every print. Quality print materials and software for your 3D printer enable you to design and print real parts directly from digital input.